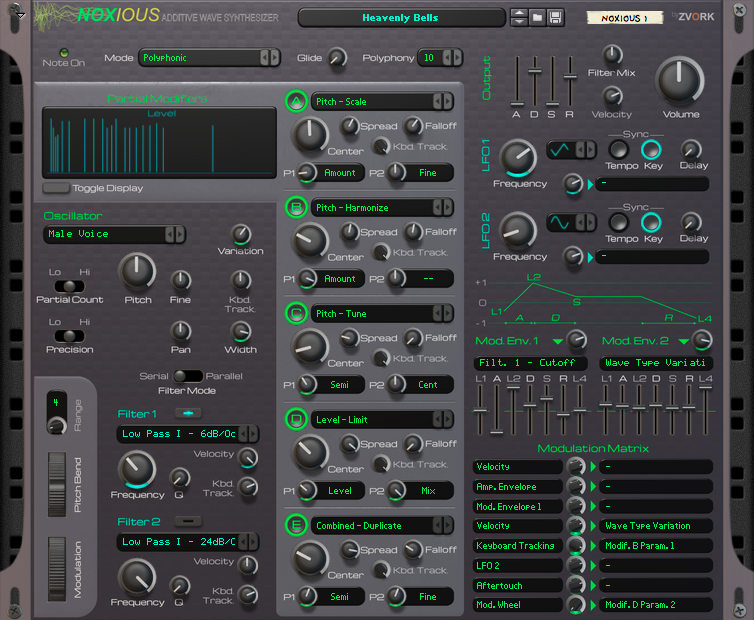 We’re almost ready for the new release of Noxious, version 1.5. This will be a really major release with lots of improvements. Of course, all this comes with some new presets to demonstrate the new features. Here is an audio peek of what it sounds like, especially the stereo width and some new presets. Done without special effects apart from the reverb and echo. The good part is that performance improvements are so good that this song has been built on a humble Mac Mini with 16 instances of Noxious at no more than 50% of the CPU load. If you are planning to buy all three rack extensions of the Volt family, CB-1, SH-1 and SL-1, you might consider buying the Volt Pack bundle instead of each individual rack extension, at a lower price. The bundle includes full normal licences of the rack extension. The Volt Pack is available exclusively for Propellerhead Reason 6.5 and Reason Essential 1.5 on all supported hardware platforms. It can be purchased and downloaded through the Propellerhead Shop. Individual gate outputs to sync set activation with other devices. The device name sticker is now visible when the SH-1 is combined. The filter does not show a slight “overshoot” anymore when resonance is set to 0. This is really nice if you want to create some smooth glissando effects. But beware with your current songs as this might slightly alter your filter behavior from version 1.0.0. Check the product page for more details. Version 1.0.1 of the Volt CB-1 is now available and free of charge for owners of version 1.0.0. It is a minor feature update that adds two more operations, Add and Compare. Check the product page for more details.